XML Specification. This is not an exhaustive list of all the constructs that appear in XML; it provides an introduction to the key constructs most often encountered in day-to-day use. XML document are divided into markup and content, which may be distinguished by the application of simple syntactic rules. Generally, strings that constitute markup either begin with the character < and end with a >, or they begin with the character & and end with a ;. Strings of characters that are not markup are content. However, in a CDATA section, the delimiters <! [CDATA[ and ]]> are classified as markup, while the text between them is classified as content. In addition, whitespace before and after the outermost element is classified as markup. start-tag, such as <section>; end-tag, such as </section>; empty-element tag, such as <line-break />. Element An element is a logical document component that either begins with a start-tag and ends with a matching end-tag or consists only of an empty-element tag. 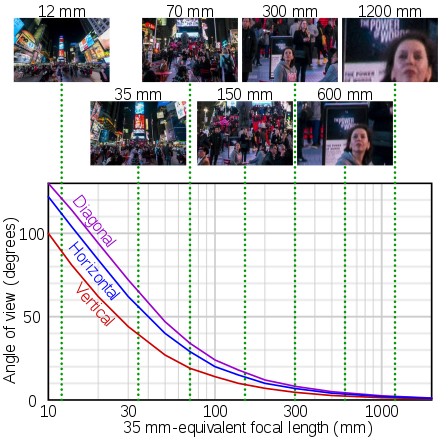 The characters between the start-tag and end-tag, if any, are the element's content, and may contain markup, including other elements, which are called child elements. An example is <greeting>Hello, world!</greeting>. Another is <line-break />. XML defines itself. Usually this is either a comma or semi-colon delimited list or, if the individual values are known not to contain spaces,[iii] a space-delimited list can be used. <div class="inner greeting-box">Welcome!</div>, where the attribute "class" has both the value "inner greeting-box" and also indicates the two CSS class names "inner" and "greeting-box". XML declaration that describes some information about themselves. An example is <?xml version="1.0" encoding="UTF-8"?>. XML 1.0; U+0020–U+D7FF, U+E000–U+FFFD: this excludes some (not all) non-characters in the BMP (all surrogates, U+FFFE and U+FFFF are forbidden); U+10000–U+10FFFF: this includes all code points in supplementary planes, including non-characters. 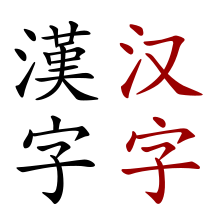 Unicode characters such as "é". It might not be possible to type the character on the author's machine. Some characters have glyphs that cannot be visually distinguished from other characters, such as the non-breaking space (&#xa0;) " " and the space (&#x20;) " ", and the Cyrillic capital letter A (&#x410;) "А" and the Latin capital letter A (&#x41;) "A". &lt; represents "<"; &gt; represents ">"; &amp; represents "&"; &apos; represents "'"; &quot; represents '"'. This example contains Armenian text. Without proper rendering support, you may see question marks, boxes, or other symbols instead of Armenian letters. This example contains Cyrillic text. Without proper rendering support, you may see question marks or boxes, misplaced vowels or missing conjuncts instead of Cyrillic letters. Unicode characters. None of the special syntax characters such as < and & appear except when performing their markup-delineation roles. The start-tag, end-tag, and empty-element tag that delimit elements are correctly nested, with none missing and none overlapping. Tag names are case-sensitive; the start-tag and end-tag must match exactly. Tag names cannot contain any of the characters !"#$%&'()*+,/;<=>? @^` ~, nor a space character, and cannot begin with "-", ". ", or a numeric digit. A single root element contains all the other elements. 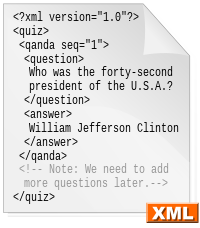 XML 1.0 standard. 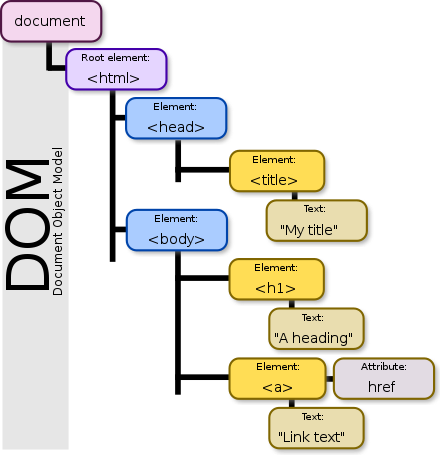 DTDs are terse compared to element-based schema languages and consequently present more information in a single screen. DTDs allow the declaration of standard public entity sets for publishing characters. DTDs define a document type rather than the types used by a namespace, thus grouping all constraints for a document in a single collection. XML APIs such as SAX do not attempt to offer applications a structured representation of the syntax, so it is less accessible to programmers than an element-based syntax may be. XML specifications and in programming libraries for accessing XML-encoded data. XML content. XML Encryption defines syntax and processing rules for encrypting XML content. xml-model (Part 11: Schema Association of ISO/IEC 19757 - DSDL) defines a means of associating any xml document with any of the schema types mentioned above. XSLT and XQuery. Syntax extensions to general-purpose programming languages, for example LINQ and Scala. CSS class or identifier names. XML syntax do you know?". Stackoverflow.com. Retrieved 16 November 2017. Wikimedia Commons has media related to XML.